You may want the Green Bay Packers season to be over already, but there are still five games left before you can put a bow on a year that will go down as a colossal disappointment. And while it’s tough to suffer through a full game that almost feels scripted, the Packers are still playing for a chance at the playoffs. By winning their five remaining games they have an outside shot of reaching the postseason by securing the final wild-card spot. For starters, winning out alone will be Green Bay’s toughest task. After home games against the Arizona Cardinals and Atlanta Falcons, they still have to travel to Chicago and New York to take on the Jets. Then, to conclude the season, there is one more divisional game against the Detroit Lions. It may be true that nothing is more dangerous than a desperate team led by Aaron Rodgers, but the last five weeks have provided no indication the Packers are capable of stringing together back to back wins, nonetheless, five in a row. However, winning out still may not be enough for Green Bay to make the playoffs. It would require outside help from the Philadelphia Eagles, Seattle Seahawks, Carolina Panthers, Washington Redskins and Minnesota Vikings. A postseason birth for the Packers is contingent on the Eagles losing one more game, the Seahawks, Panthers, and Redskins losing two and the Vikings losing three. The one bright side to this unlikely mess is only four the five scenarios need to hold true. The least likely might be the Vikings losing three of their last five games this season. Left on their schedule they have the New England Patriots, Seahawks, Miami Dolphins, Detroit Lions, and Chicago Bears. The next least probable is the Seahawks losing two more games as they are slated to face the San Francisco 49ers, Vikings, 49ers again, Kansas City Chiefs, and the Cardinals to wrap things up. This breakdown may not have helped your optimism for what’s left of the Packers season, but there’s still a reason to watch the remaining five games. Especially if they keep winning. 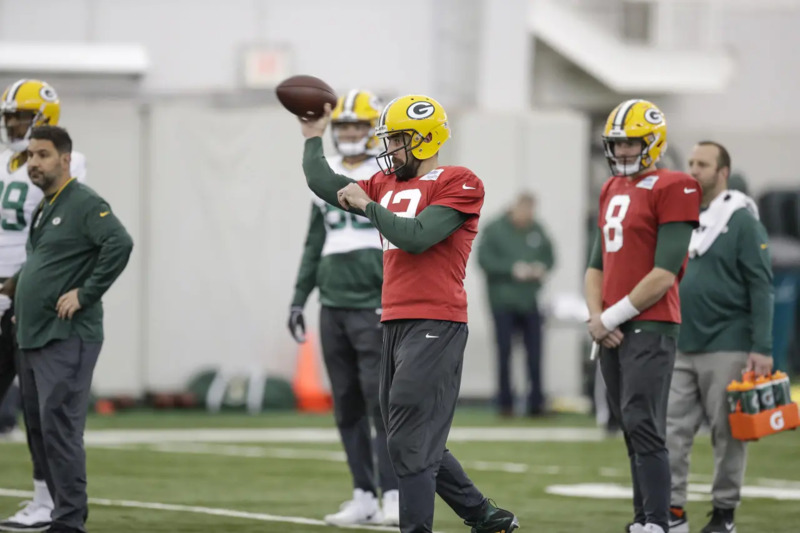 This entry was posted in Brandon Carwile, Packers 2018-2019 Season, Packers News and tagged How Green Bay can make the 2018 playoffs, Packers 2018 Season, Packers playoff chances. Bookmark the permalink.